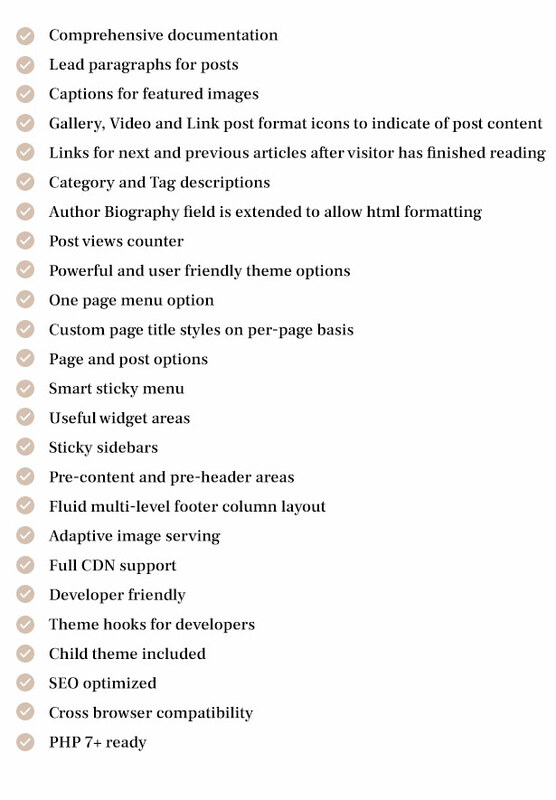 Typograph is a content focused WordPress theme. Typograph is designed to look great with no images at all, solving the problem of finding the quality graphics for many users, at the same it becomes even more beautiful with images and other media content. The future of WordPress is with Gutenberg editor, and with Typograph you can feel the full power of it. Clean design, readability, fast loading – it never gets old. 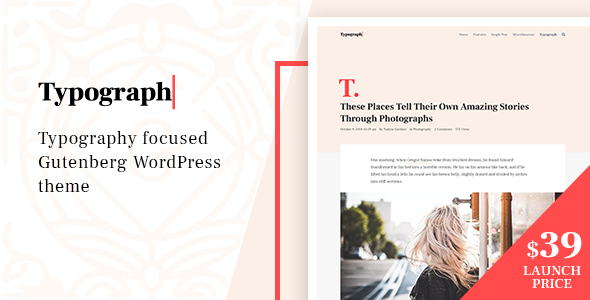 It’s a whole new way to use WordPress with Gutenberg and Typograph fully supports it. Apply your unique style and personality with lots of customization possibilities. Your website will display beautifully across all of today’s modern devices. Nobody likes slow websites. If you are looking for very fast load times and A grade performance, Typograph is the right choice. Proper and complete structured data markup for highest SEO rankings. Publish in your language or maybe even multiple languages at once with full translation support. 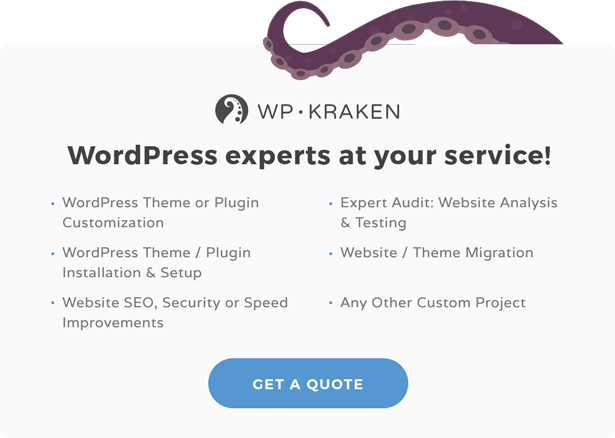 Designed with maximum plugin compatibility to easily enhance the website with your favorite commenting engines, social sharing, page builders and more.